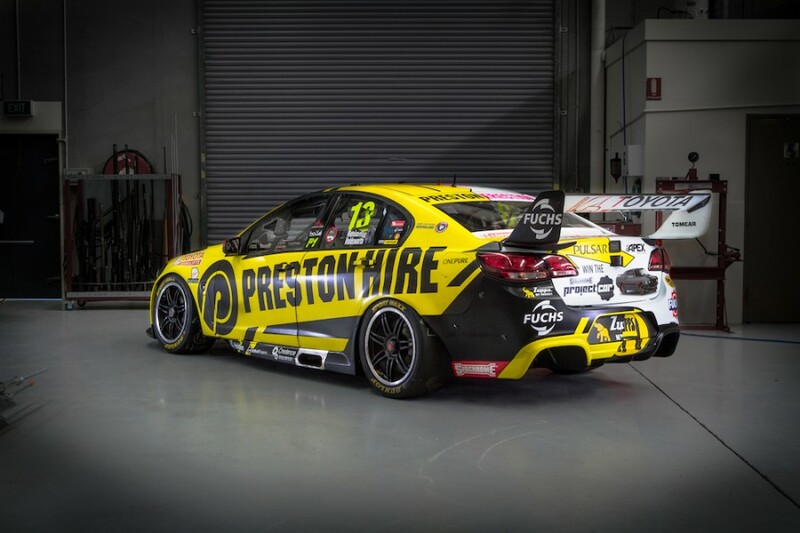 Charlie Schwerkolt’s Preston Hire Racing has unveiled an eye-catching livery for the retro-themed Wilson Security Sandown 500. The unique split colour scheme pays homage to Preston Hire’s original brand, Preston Erection, while retaining its regular livery down one side. Operating in Sydney, the company specialised in structural steel erection, scaffolding and mobile cranes. “From 1969 Preston Erection was the business that construction companies called upon for their mobile crane and scaffold needs,” read a blurb explaining the livery. “In retro days gone by, political correctness was far more relaxed and the name ‘Preston Erection’ didn’t ‘raise’ an eyebrow or create a grin...much! Group Managing Director of Preston Hire, Markus Preston, expects the livery to attract plenty of attention. “The Wilson Security Sandown 500 Retro Round is the perfect opportunity for us to share our proud company history, how we have evolved and also highlights some of the humorous changes within society over the years,” he said. Holdsworth enters Sandown 12th in the championship following two 15th place finishes at Sydney Motorsport Park. Reindler is returning to the team for a second PIRTEK Enduro Cup campaign, starting at Sandown on September 15-17.